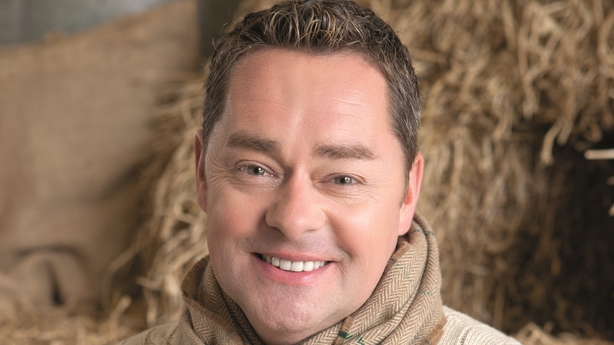 Donal O'Donoghue spoke to Neven Maguire about Irish Food Trails, his work ethic and the impact of Brexit in the RTÉ Guide. Tune into Neven's Irish Food Trails tonight, Wednesday 18th on RTÉ One at 7:30 pm. 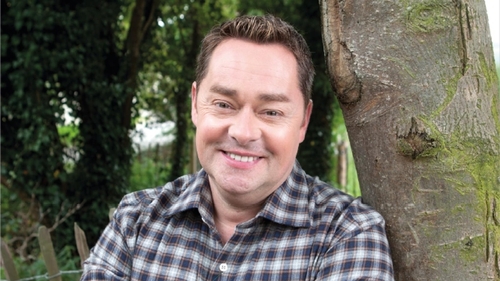 Neven Maguire is on holidays. This is a rare thing: like unearthing a white truffle or eating a bowl of bird’s nest soup. The celebrity chef, though I suspect he would never call himself such, is one of the industry’s hardest-working restaurateurs. Apart from his 13 cookbooks, umpteen TV shows and never-ending cookery demonstrations, Maguire is also usually hands-on at his restaurant, MacNean House in the north-western tip of Cavan. His philosophy is that if you’re parting with your cash then the least he can do is be there to meet, greet and cook what you eat. Neven as the clock sweeps towards midnight (well it is only after 4pm in Ireland!). We are here to talk about TV and Maguire’s latest, Neven’s Irish Food Trails, which smartly follows last autumn’s The Basque Country. So how many shows in total is it now Neven? the MV Shannon Princess, to the pastures of west Cork and Glenilen Farmhouse, and beyond. In many ways a companion piece to his journey through northern Spain, Irish Food Trails is a hymn to the best that the country has to offer, from someone who has long championed local produce and producers. “It was great fun,” says Neven, who seems to enjoy life like few others. The show also looks picture postcard pretty and unsurprisingly the film-makers hope to sell it to the US. “My first ever stand-alone TV show was Moveable Feast but I never ever take it for granted,” says Maguire (42), whose small-screen career started some 21 years ago with a cookery slot on RTÉ’s afternoon show, Open House. He calls MacNean House and Restaurant, an establishment that employs 70 people, including 14 chefs (the majority female), his ‘baby’. But Neven’s late parents, Vera and Joe, were the pillars on which MacNean House was built. Those fledgling days in the late ’60s (the Maguires purchased the premises in 1969) and early ’70s were traumatic. The restaurant was bombed twice and at one time there were some 60 guards stationed in the village. In 2001, the year that Maguire took over as head chef/ owner of the restaurant, his father Joe was killed in a car accident and four years ago his mother Vera died from cancer. Both are still vivid influences. and the Maguire family (Neven, a twin, is one of nine children) meet up a few times every year, with guess-who usually cooking. of Blacklion on the Cavan/Fermanagh border, and you get a positive response, albeit tinged with hope as much as expectation. Typically, Neven is forever looking forward, planning and preparing. Over the next two years, he has big plans for MacNean House, including a complete refurbishment of the kitchen and extra accommodation. He says that his latest cookbook, Neven Maguire’s Complete Family Cookbook, which was published last October, is set to become his second most successful publication after his Baby and Toddler Cookbook and he lists The French Laundry, Thomas Keller’s restaurant in California, as top of his dining wish-list for 2017. “Although I could list off another dozen places just as easily,” says the man who doesn’t have a bad word for anyone.It’s near midnight in a hotel in Krabi, Thailand and Neven is still going strong. He might be on holiday but the chef inside is never off-duty. In April, Maguire travels to Italy to film his next TV series and his publishers, have already approached him about a possible new title. He finds it hard to refuse work because he has a niggling fear that hard times could be just around the corner. “There will be a day when the TV people and the book publishers won’t come looking for you,” he says. I suspect that will not be for some time yet. Neven boards the luxury hotel barge the Shannon Princess and sails from Lough Ree to Athlone and on to Clonmacnoise. In the boat’s galley, Neven cooks up pork rogan josh with rice and cucumber rahita. Next stop is Clonmel, Co Tipperary and the James Whelan Butcher Academy. Finally, Neven heads to the 1826 Adare restaurant, where chef Wade Murphy shares a recipe for rump of lamb with sheep cheese polenta chips, cavolo nero and salsa verde. 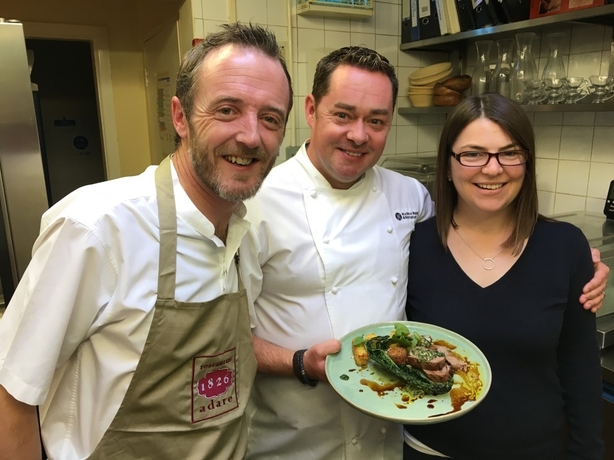 Tune into Neven's Irish Food Trails tonight, Wednesday 1 January on RTÉ One at 7:30 pm.